President Robert Bugbee addresses students and faculty at Concordia Lutheran Seminary, Edmonton. EDMONTON — Delivering the Gospel to God’s people is an important privilege and requires proper preparation, says the president of Lutheran Church–Canada (LCC). Rev. Robert Bugbee told students and faculty of Edmonton’s Concordia Lutheran Seminary (CLS) about his vision for LCC and about Christ’s commission to preach the Gospel to the world February 25. 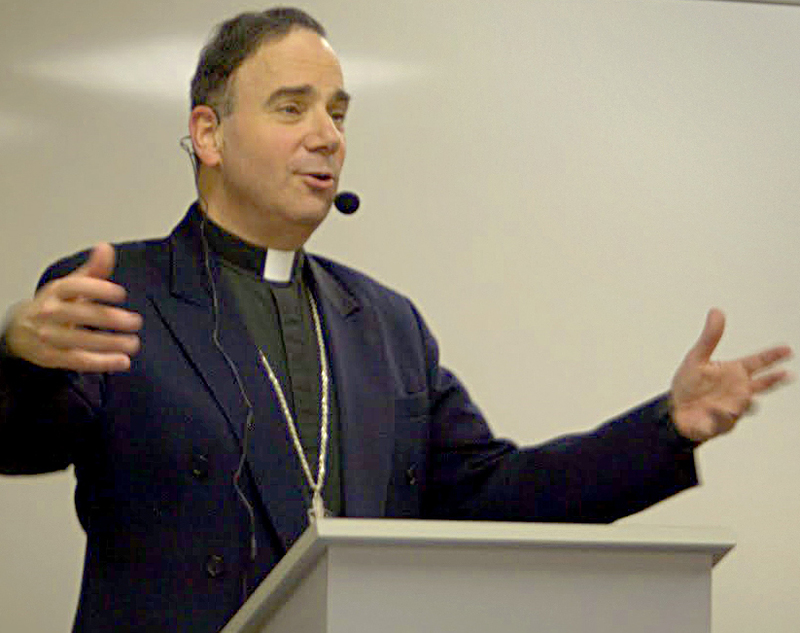 The lecture was Bugbee’s first opportunity to address the seminary since his election in June 2008. “I think all of the things that we chafe with at times – money shortages or conflicts between pastors and people, or conflicts among groups of people in the congregation or anemic outreach emphasis – all of these kinds of things ultimately are traceable to a neglect of the Word,” said Bugbee. Bugbee spoke of the high calling of the pastoral office, the privilege of being able to speak the Gospel to God’s people and to the world, and of the importance of proper preparation for the office of ministry. He talked about the importance of the in-depth study of the Bible, of remaining in the Word devotionally, and of proclaiming the Word in a way which is both faithful to the text and applicable to the lives of God’s people. He concluded his lecture with a description of the work LCC is doing on the world scene, as he noted the various mission projects in which LCC is engaged.